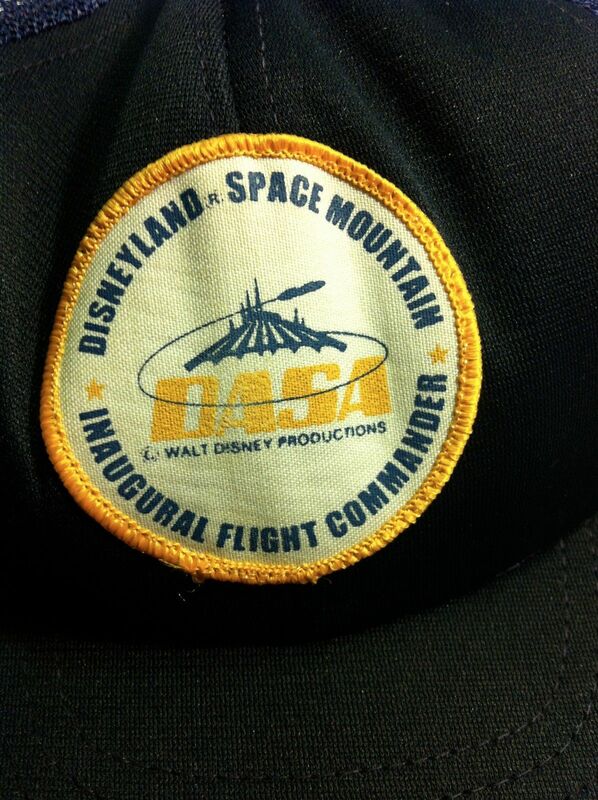 DASA stands for Disney Aeronautics and Space Administration. 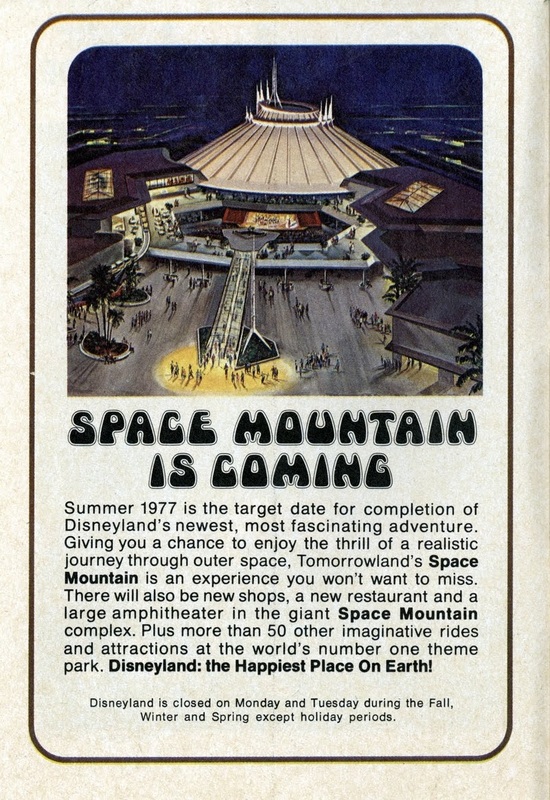 As I’ve said elsewhere, Space Mountain (Disneyland) opened two days after Star Wars premiered. 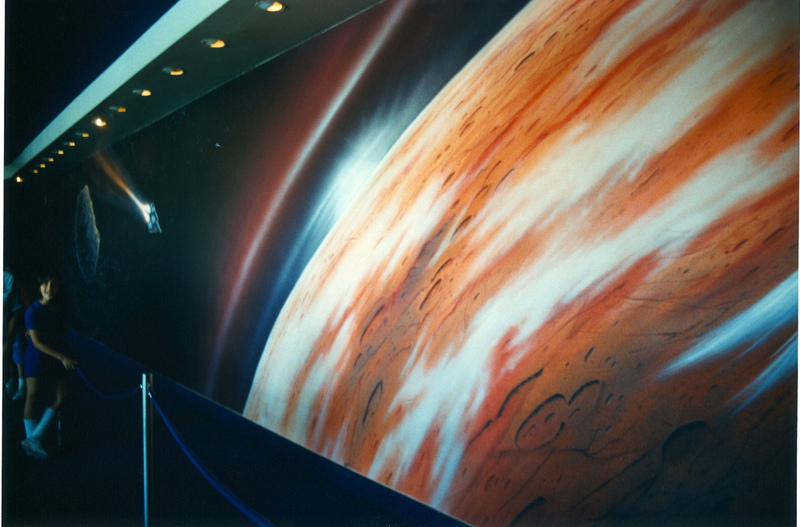 No, the dream of exploring the Universe began centuries ago… with that first human glance up at the stars. 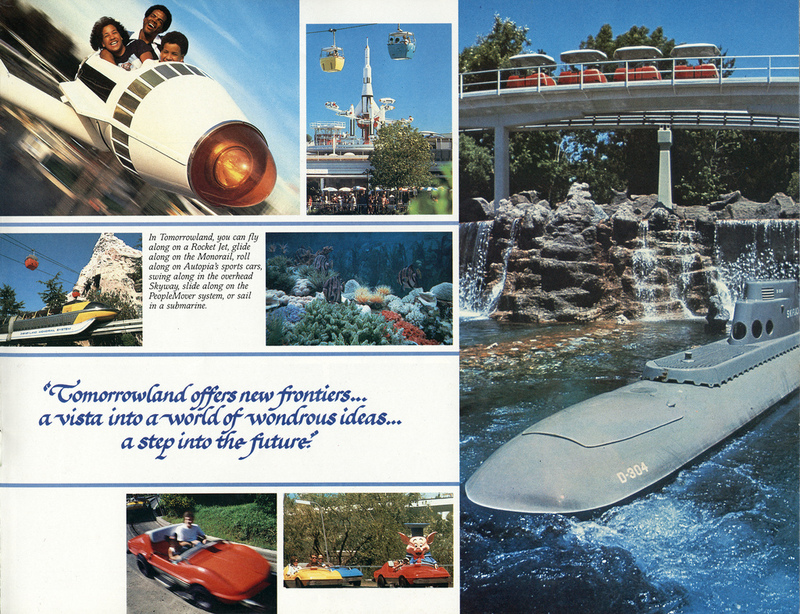 We at Disneyland have attempted to capture that eternal dream. And we hope that you, as our representatives, appreciate and understand that attempt. 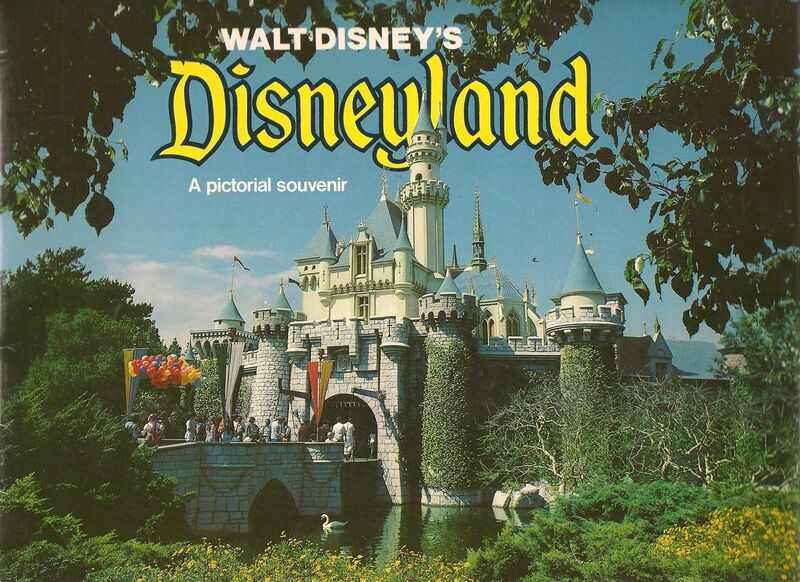 When Disneyland was more than an amusement park. 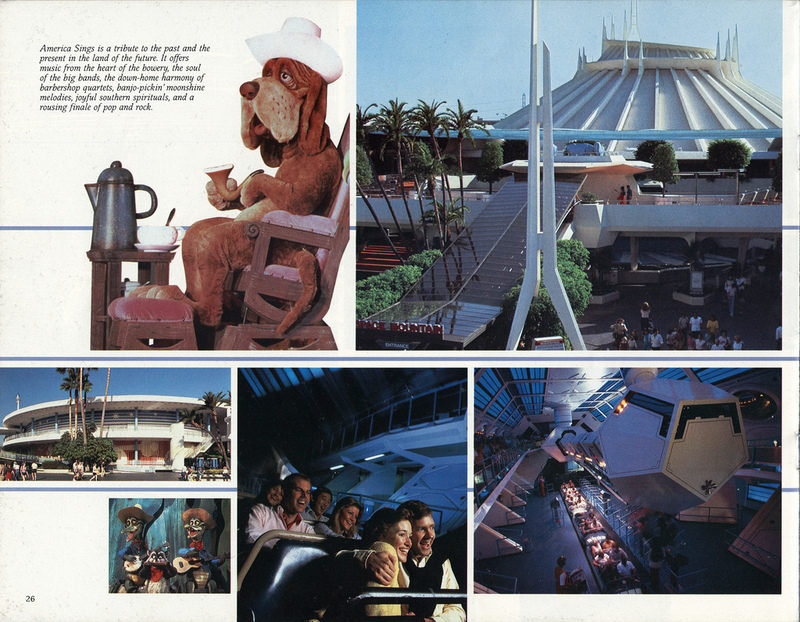 Expecting the movie to become a big hit, WED [Walt Disney Imagineering] designed this ride-through shooting gallery based on the robots from the film. 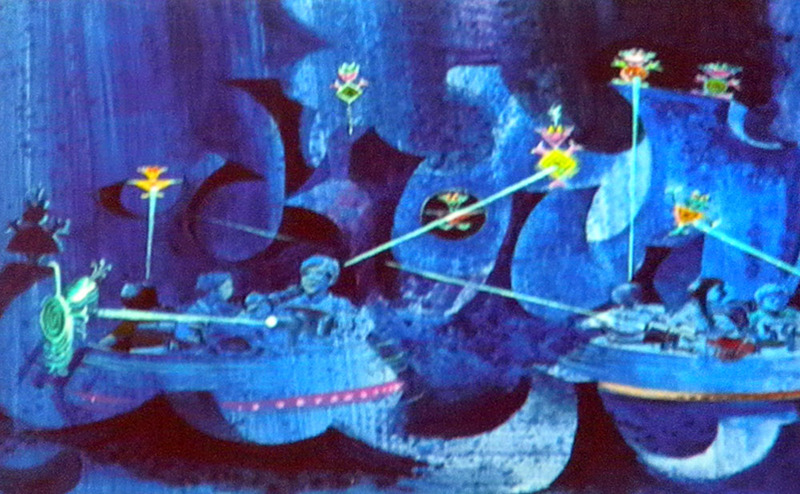 When The Black Hole flopped, the idea was adapted for another upcoming sci-fi film, TRON. 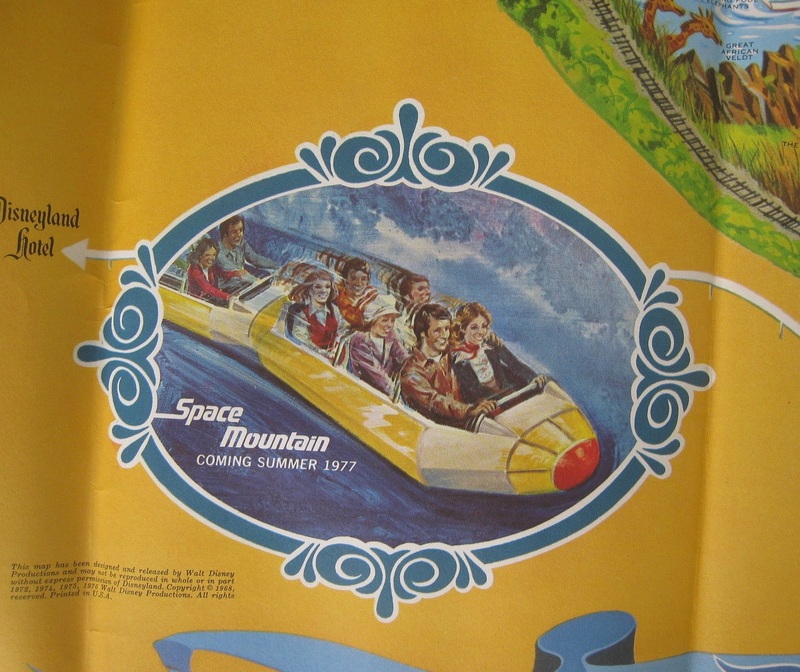 When that didn’t become a hit either, the concept lay dormant until it was revived as Buzz Lightyear’s Space Ranger Spin. I guess WED didn’t have any art to refer to, because the robots don’t look anything like the robots in the movie. It doesn’t matter. I’ll still be twice as upset every time I get on the crappy Buzz Lightyear ride that my wife always beats me at. 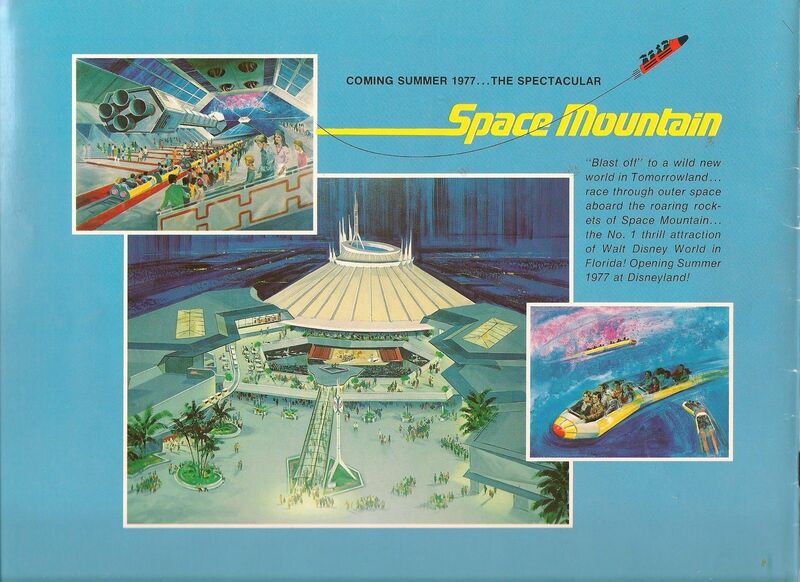 Tron did get a piece of a ride that I loved, the PeopleMover, in 1982. 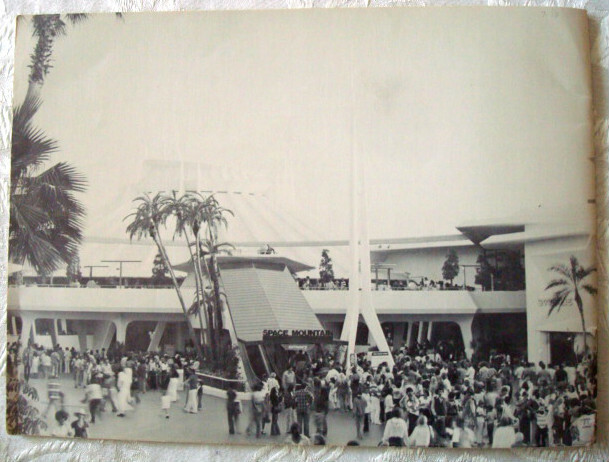 The PeopleMover closed in 1995 and was eventually replaced by the short-lived Rocket Rods. 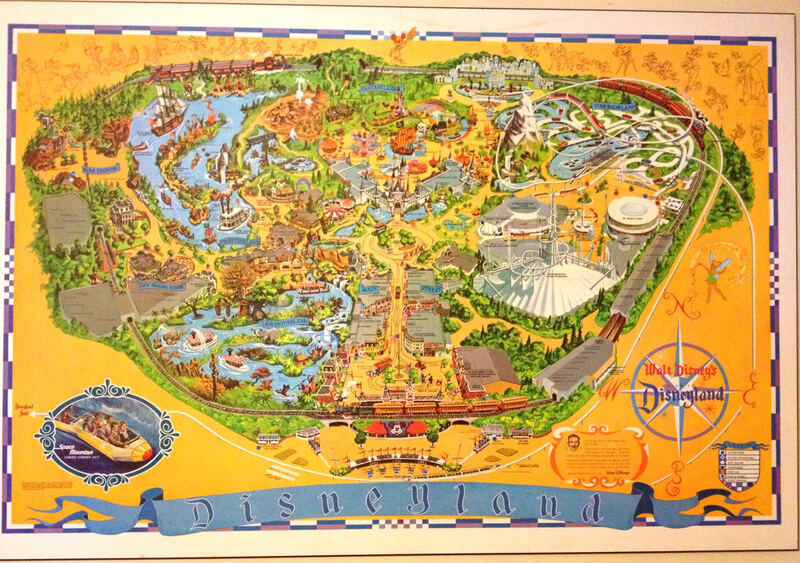 Check out Michael’s full post for many more ride concepts, including a Uranium mine attraction, with visitors using Geiger counters to locate the radioactive stuff. 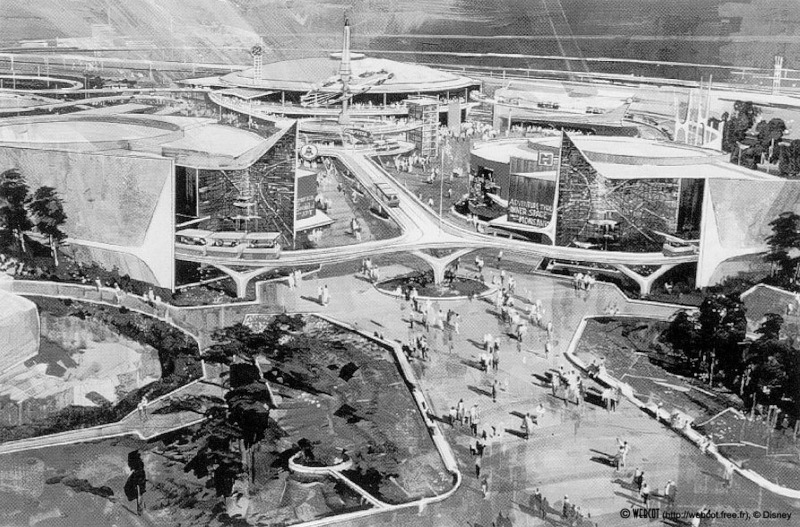 Speaking of utopias, Walt Disney managed to build a little one for those who can afford it. 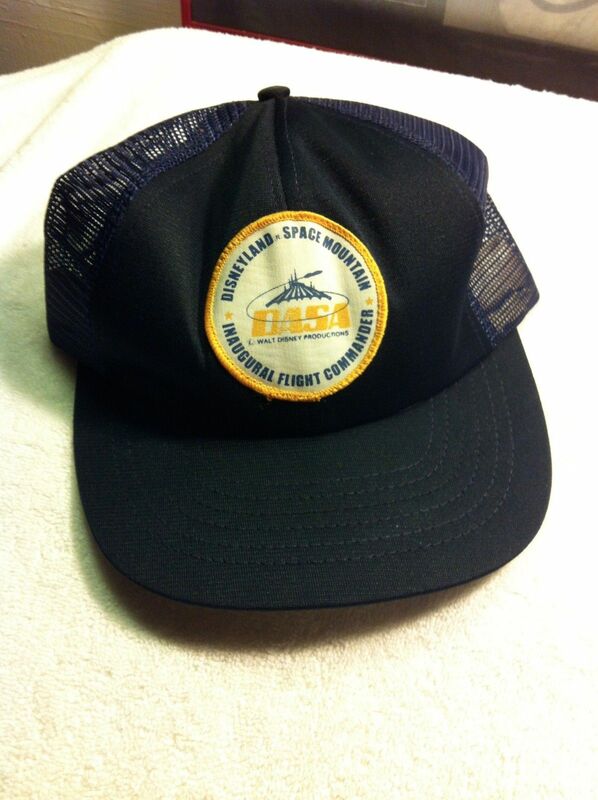 In my opinion, it’s being slowly stripped of its initial mission and magic (been on the Submarines lately? 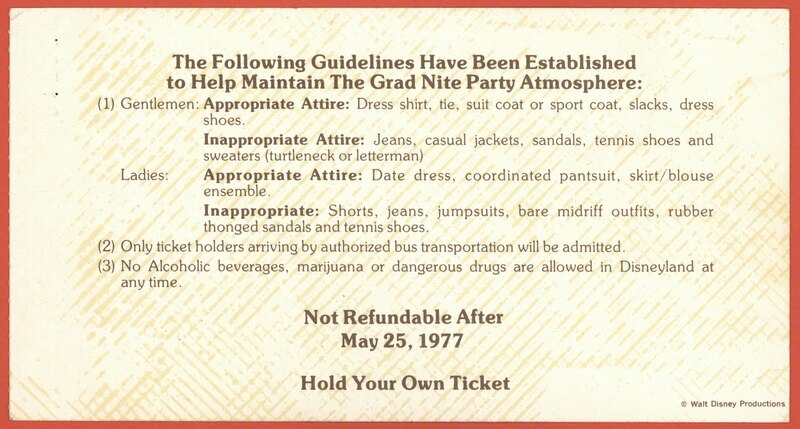 ), as is the corporation that owns and runs it. Millions disagree with me, as usual. 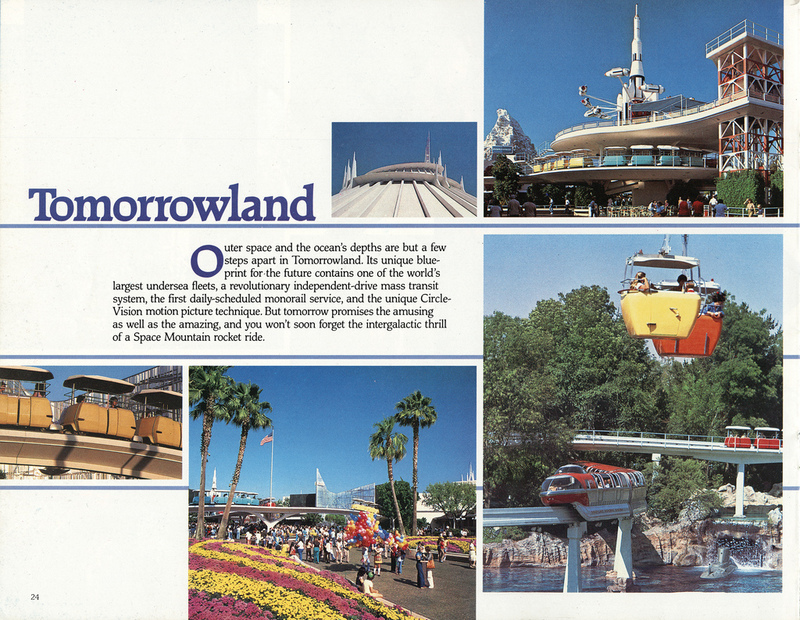 Most of second-phase Tomorrowland was still intact in 1983. 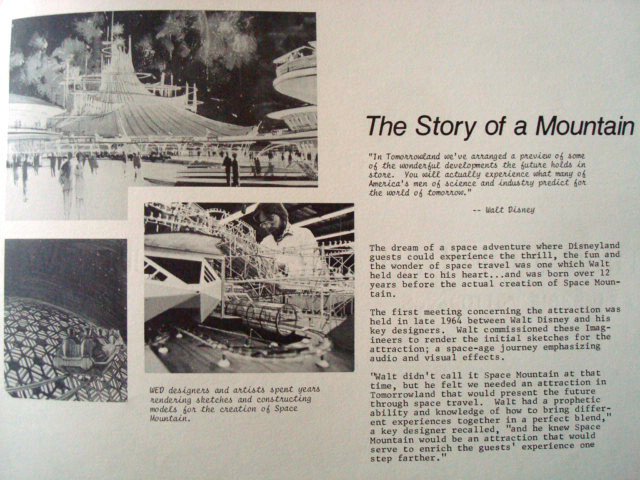 Space Mountain opened on May 27, 1977, two days after Star Wars premiered. What a summer. See the whole book at Wishbook’s Flickr. 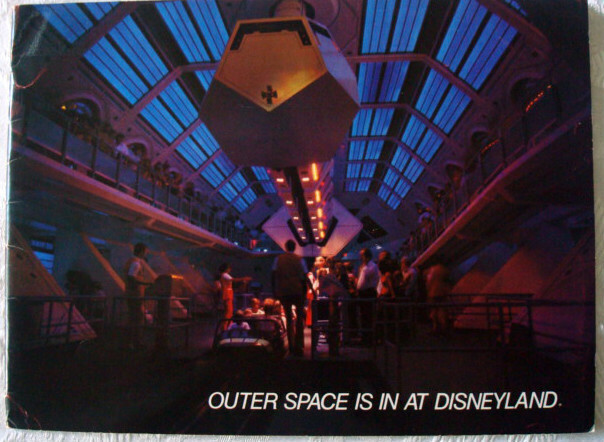 According to the source, AdamConlea, this was taken from “an old video tape of 1977 prime-time TV (KNXT in Los Angeles).” It’s pretty sweet how the passengers get on the rocket car and plunge screaming into space until they’re swallowed by a nebula and disappear forever. 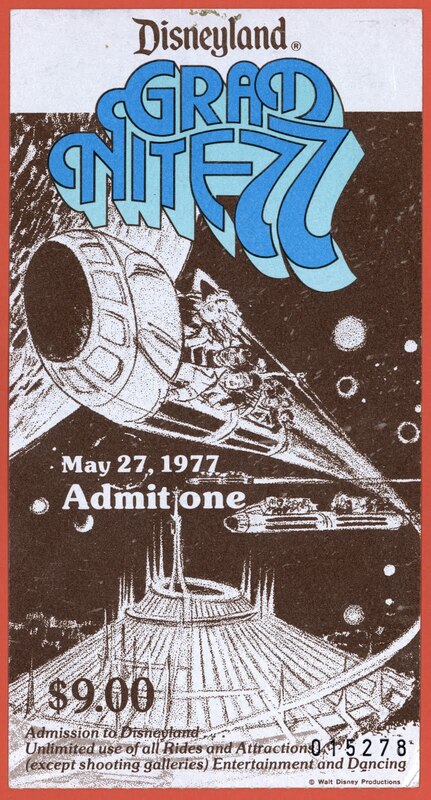 Now, when we opened Disneyland, outer space was Buck Rogers. 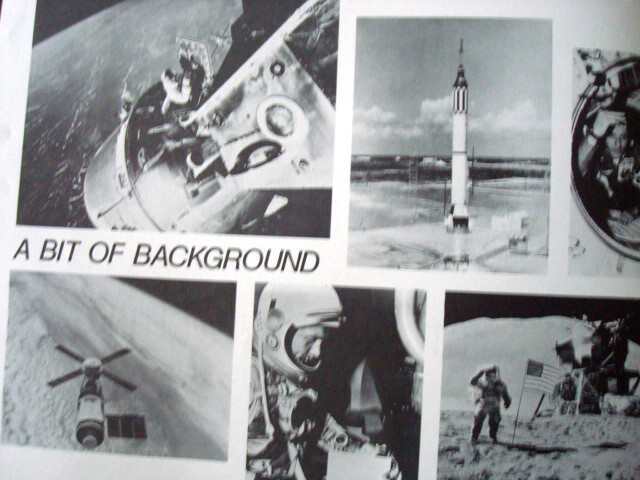 I did put in a trip to the moon, and I got Wernher von Braun to help me plan the thing. 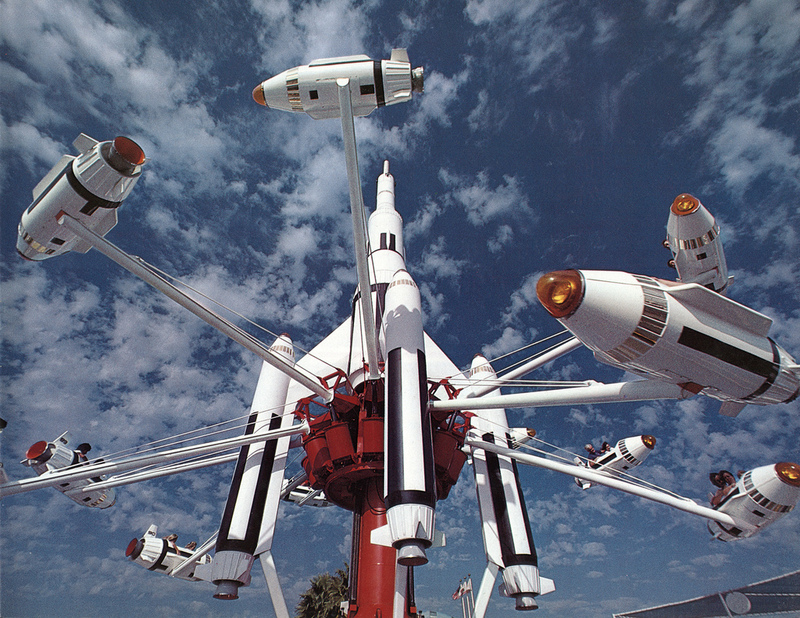 And, of course, we were going up to the moon long before Sputnik. 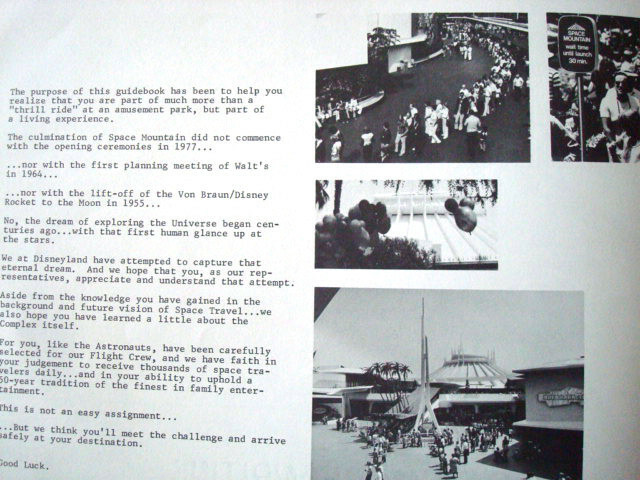 And since then has come Sputnik and then has come our great program in outer space. 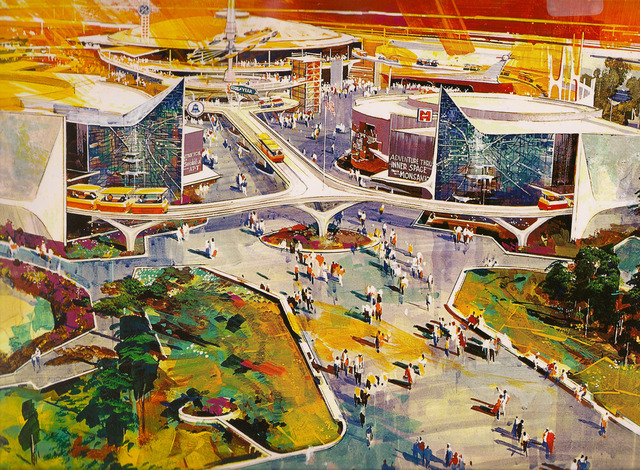 So I had to tear down my Tomorrowland that I built eleven years ago and rebuild it to keep pace. 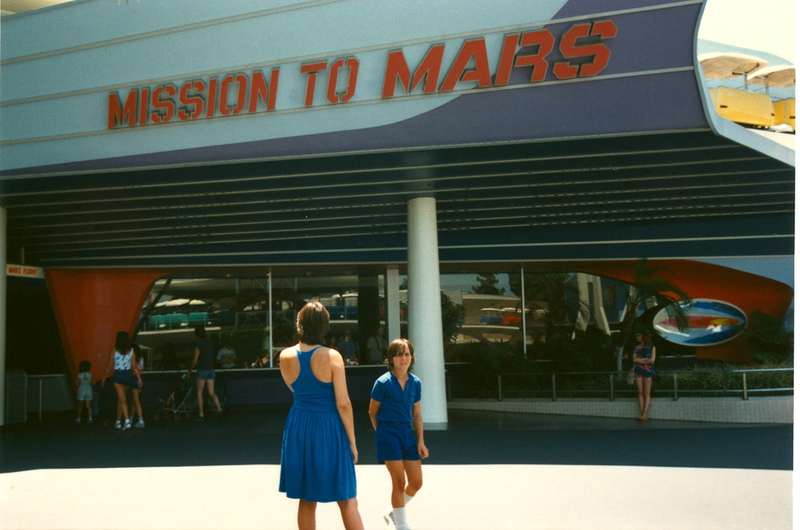 The new attractions included the Carousel of Progress, Adventure Thru Inner Space, Flight to the Moon (the name changed to Mission to Mars in the ’70s), and the PeopleMover—all of them gone today.